Meet the educational level of the audience. Highlight the points in an instructor’s discussion or presentation. 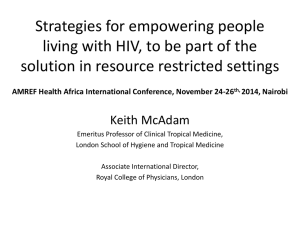 and the challenges of developing an HIV vaccine. 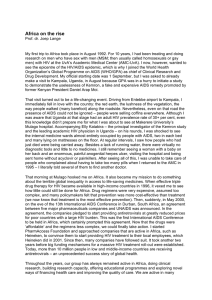 deficiency syndrome (AIDS) more than 30 years ago. examined how minorities cope with their chronic illnesses. 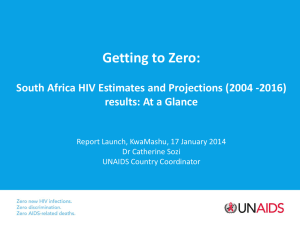 approximately 50% of people living with HIV in 2008.
about 17% to 19% of people living with HIV since 2008.
infections. In 2010, the rate of new diagnoses among U.S.
accounted for 70% of all new HIV infections in 2010.
single-stranded RNA into single-stranded DNA. to be principally responsible for the global pandemic. Penetration – the virus enters the immune system cell. nucleus, where it is spliced into the host’s DNA. Transcription – HIV uses the T cell to make copies of the virus. packaged at the plasma membrane of the T cell. Budding – the new virus exits the host cell. individual proteins and a new working virus is formed. now binds successfully to different CXCR4 receptors. immune system is weakened, which leads to the onset of AIDS. macrophages also play a crucial role in HIV-1 infection. reduces the risk of female-to-male sexual transmission. sexual partners who have STDs. which women have fewer rights, for example. 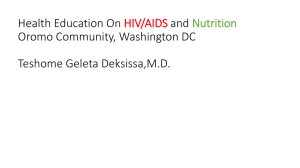 symptomatic HIV infection, and progression from HIV to AIDS. virus by generating HIV antibodies and cytotoxic lymphocytes. conducted for the antibodies’ presence. problems such as psoriasis, shingles, and minor infections. multiple infections that occur throughout the body. decreases in vitro responses to specific antigens. HIV infection – stage 1, no symptoms. 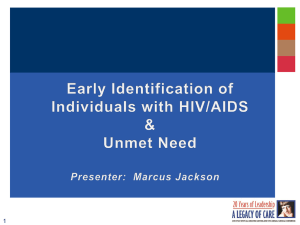 HIV infection – stage 2, mild symptoms. 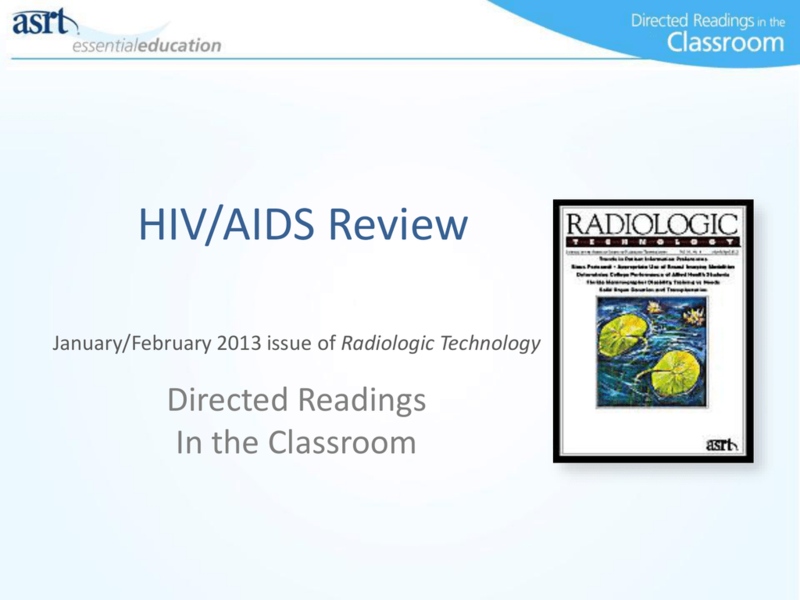 Advanced HIV disease – stage 3, advanced symptoms. 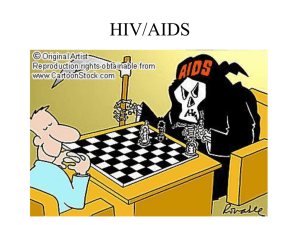 AIDS – stage 4, severe symptoms. 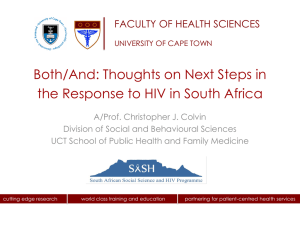 of HIV, especially where there are limited laboratory facilities. presence of the HIV virus. presence of HIV antibodies in a person’s diluted blood serum. antibody to fluoresce or change in color. than first-generation enzyme immunoassay antibody tests. can vary slightly between brands. Several point-of-care, or rapid antibody tests, are available. rapid-result tests for HIV provide results in 10 to 20 minutes. patients. The therapy’s dosing also has been simplified. although not all are licensed or available in every country. 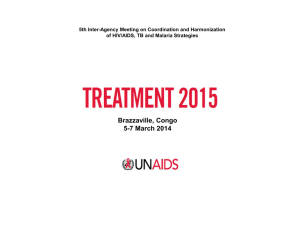 reduce HIV transmission to uninfected partners. effective in reducing mother-to-child transmission. Treating children with HIV/AIDS presents special challenges. infection among children has decreased by 80% to 90%. work with an HIV/AIDS infected coworker seldom exist. a timely manner to help prevent hazards or future incidents. materials as listed in the OSHA standards. 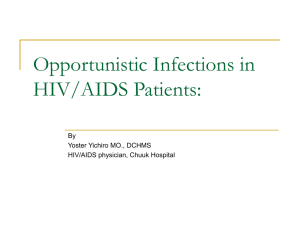 patient with HIV/AIDS should be expressed to supervisory staff. alternative approach to prevent or control infection adequately. countries, it is critical that a vaccine be developed. • Be cost-effective and easy to transport. few challenges that plague researchers. in vitro and to protect in vivo against HIV in animal models. evaluated in human efficacy studies. relationships, social institutions, and cultural configurations. precautions while assisting a patient with HIV/AIDS.